Without warning, on Memorial Day 1948, a combination of heavy winter snowfall, warm temperatures, and spring rainfall sent torrents down the Columbia River, breaking through a railroad embankment serving as a levee, and destroying Oregon’s second largest city, Vanport, near Portland. Built in the floodplain of the Columbia River close to the confluence with the Willamette River, Vanport provided housing for thousands of low-income people. The floodwaters killed at least fifteen people, left 18,000 others homeless, and washed away the community. The governments of the United States and Canada seized on the Vanport flood to promote a treaty that would authorize dams upstream in British Columbia and Montana, eventually forcing thousands of residents from their homes, and permanently flooding vast river valleys of the Upper Columbia River Basin. Particularly devastating for indigenous people who had lived in the Columbia River Valley for thousands of years was loss of burial grounds and cultural sites, compounding the loss of massive salmon runs caused by Grand Coulee dam. And now, on the 70th anniversary of the Vanport Flood, the United States and Canada are entering into negotiations to modernize that agreement known as the Columbia River Treaty. 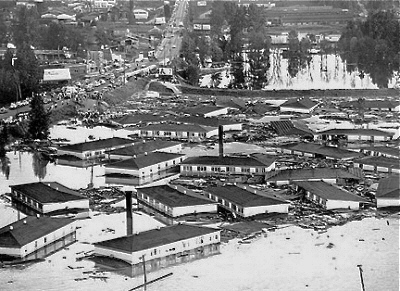 The Vanport Flood and its devastating consequences for the upper Columbia River Basin was the focus of a 2016 conference, One River – Ethics Matter, hosted by the University of Portland. This was part of the conference series of Columbia River reconciliation based on the 2001 Columbia River Pastoral Letter by the Roman Catholic Bishops of the international watershed. Highlights of the Portland conference focusing on the Vanport Flood can be viewed on a short film: Portland: One River – Ethics Matter. On May 14 the Washington Pollution Control Hearings Board (PCHB) ruled against the U.S. Fish and Wildlife Service (FWS), operator of the Leavenworth Fish Hatchery, and in favor of Icicle Creek advocates Center for Environmental Law & Policy (CELP) and Wild Fish Conservancy. Late last year, CELP and Wild Fish Conservancy appealed the state’s certification under Section 401 of the Clean Water Act for the federal hatchery to the PCHB. The FWS asked the PCHB to dismiss the appeal, arguing that state water quality certifications are not independently enforceable and cannot be effectively modified after a federal permit is issued, and therefore the challenge to the state certification was moot. The PCHB rejected the FWS argument. The PCHB concluded that state-issued Section 401 certifications are tailored to protect water quality in every state water body and are independently enforceable. Icicle Creek flows out of the Alpine Lakes Wilderness through the Bavarian-themed town of Leavenworth, Washington, and supports important fisheries including endangered Chinook salmon and threatened steelhead. 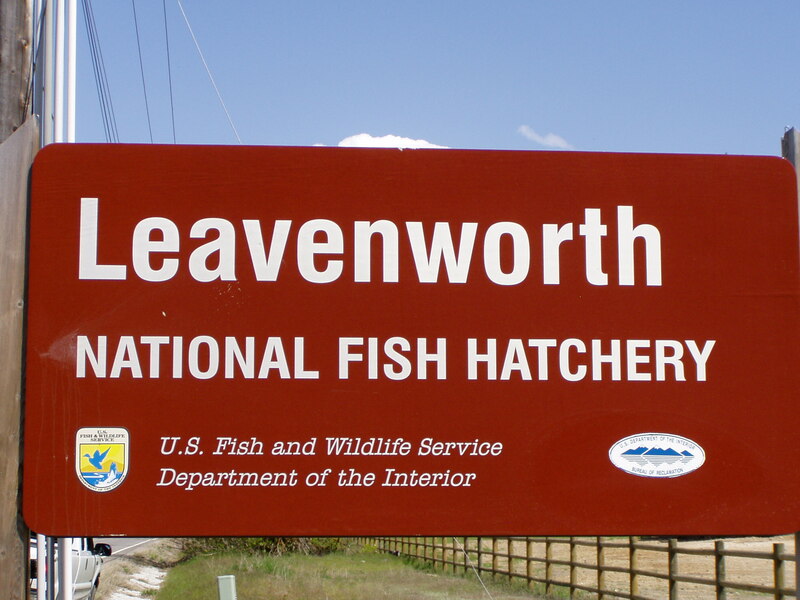 The Leavenworth National Hatchery was first constructed between 1939 and 1941 near Leavenworth, Washington, as a mitigation project for Grand Coulee dam. 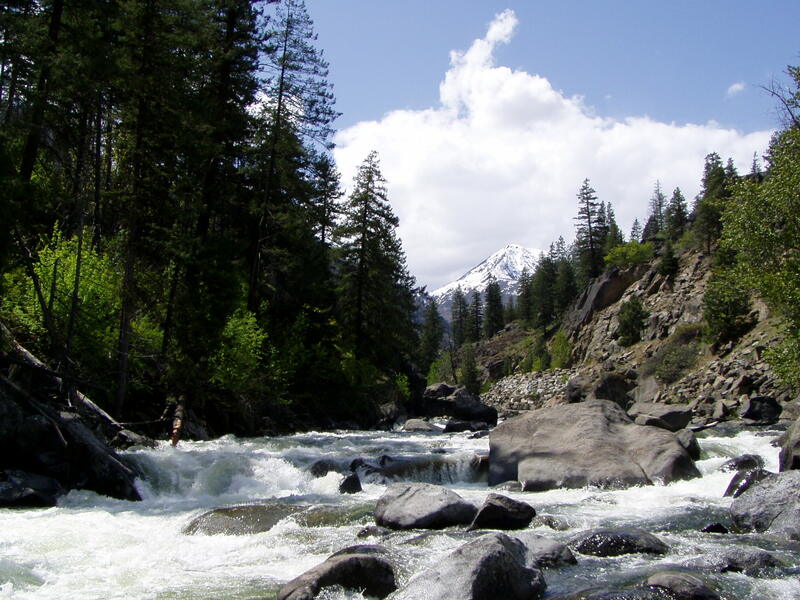 It is located on the banks of Icicle Creek approximately three miles from the confluence with the Wenatchee River. The hatchery has a long history of violating state and federal environmental laws, despite repeated attempts to bring it into compliance to protect Icicle Creek. The U.S. Fish and Wildlife Service (USFWS) discharges a wide variety of pollutants into Icicle Creek from the federal hatchery located near Leavenworth, Washington. Pollutants released from the Hatchery to Icicle Creek include disease control chemicals, pathogens, nitrogen, phosphorus, antibiotics, chemicals used for disinfection and other fish culture purposes, residual chemical reagents, salts, and chlorinated water. The excess phosphorus discharged by the Hatchery has caused violations of the applicable water quality criterion for pH in lower Icicle Creek. This phosphorus loading also contributes to violations of water quality standards in the Wenatchee River. The Clean Water Act is the main mechanism through which pollution of our waters is prevented, and the Hatchery is obligated to apply for a permit and to operate according to its conditions. A National Pollutant Discharge Elimination System (NPDES) permit is required by the Federal Clean Water Act (CWA) and would place limits on pollutant discharges. States, using “401 certifications,” can compel the federal government to protect state waters. On July 28, 2017, the Washington Department of Ecology issued a draft Clean Water Act section 401 certification for a new permit. State certifications must include appropriate limitations and monitoring requirements to assure that the applicant for the Federal permit (USFWS) will comply with applicable effluent limits, prohibitions, standards of performance and appropriate requirements of state law. For 37 years, the FWS operated the Leavenworth Fish Hatchery without a valid permit in violation of the Clean Water Act. On November 22, 2017 both a new federal permit and state 401 certification were issued. On December 21, CELP and Native Fish Conservancy appealed the state 401 certification to the PCHB. The federal permit was not appealed, and took effect on January 1, 2018. USFWS asked the PCHB to dismiss the appeal because Icicle Creek advocates had appealed the state certification, but not the federal permit.